Dr. Michael L. Brace D.D.S. Dr. Brace was raised in Albuquerque, New Mexico. He graduated from the University of New Mexico College of Pharmacy. While working as a pharmacist he graduated from the University of Missouri Kansas City School of Dentistry. He joined the U.S. Army and retired after 21 years of service. He completed a two year general practice residency at Fort Hood, Texas. He served in Germany, Alaska, Maryland, Utah, and Texas. His last assignment was the Dental Commander at Fort Huachuca, Arizona. 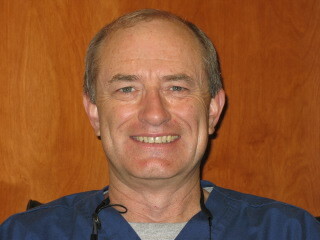 Dr. Brace is a Diplomate of the American Board of General Dentistry. He has attained his level of Master of the Academy of General Dentistry. He is a member of the American Dental Association and the Arizona Dental Association. Dr. Brace loves his time with his wife, son, and new daughter-in-law. He enjoys his two, on the move, Golden Retrievers Hunter and Wendy, and traveling.